Download a Promotional Flyer featuring this special. Pricing is Good Through 7-31-18. Minimum Order Qty is 1,500 Units. 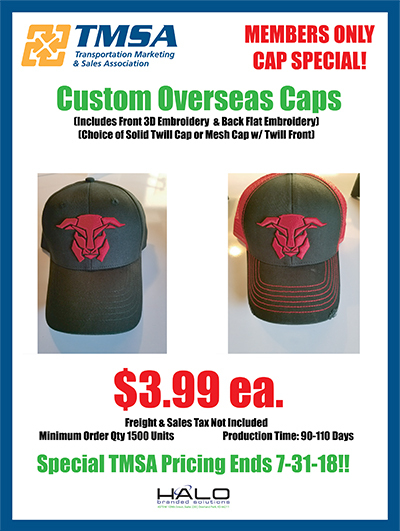 Pricing includes: 3D Embroidery on the Front of the Cap, Flat Embroidery of Tagline on the Back, and Special “TMSA Woven Label” on the Inside. Download photo of what this label looks like. Want more information? Contact Jerry Shingleton, National Account Manager, Halo Branded Solutions at 913-940-3555 or email. 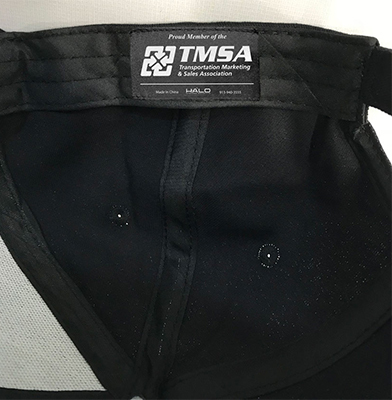 Comments on "TMSA Provides Baseball Cap Special through Halo"